Custom made Baby Onesies make cute, fun & unique baby gifts. It can be given to reveal a pregnancy, reveal baby's gender or a cute baby shower gift. 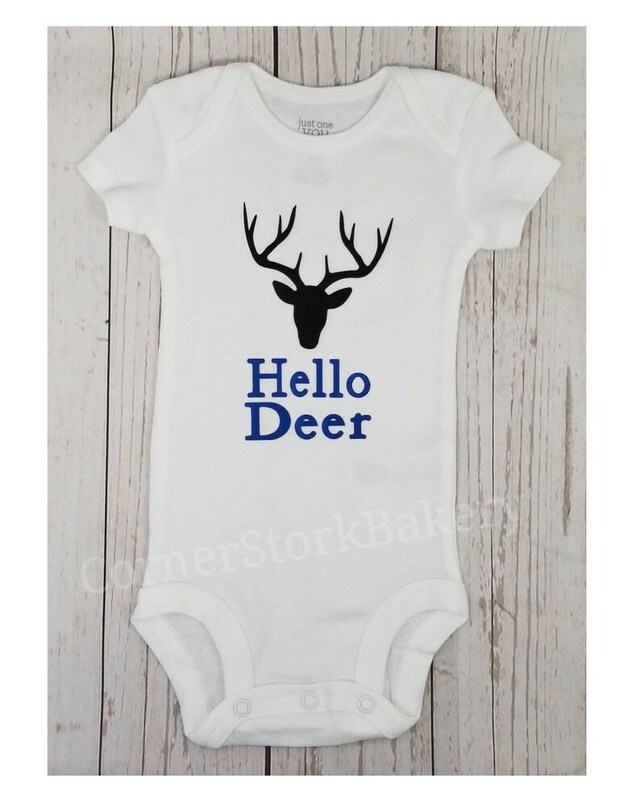 This listing is for 1 Hello Deer onesie. • 1 Carter's brand white short sleeve with Hello Deer and a deer head made with htv in blue and black. Can be made in different colors per request. Maybe Hello Deer in pink? ☆ Nicely packaged in a cellophane bag with gift tag & matching ribbon.